Take a look at the picture below of a classroom from 1950. Can you recognize classrooms today that look like this blast from the past? They are finding support for their work in a new educational framework called connected learning. Connected learning advocates for experiences that bridge the multiple learning contexts of students’ lives – home, peer, school, and community spaces – and builds on students’ interests to support authentic, civically engaged projects. Educators across the country – urban and rural, elementary and secondary – are recognizing that conventional forms of teaching and learning are not useful to prepare students for our dynamic and constantly shifting 21st century society. They are working to transform their practice and offer students learning opportunities that cross boundaries, position students as producers and active citizens, and use new media to foster open, collaborative networks. 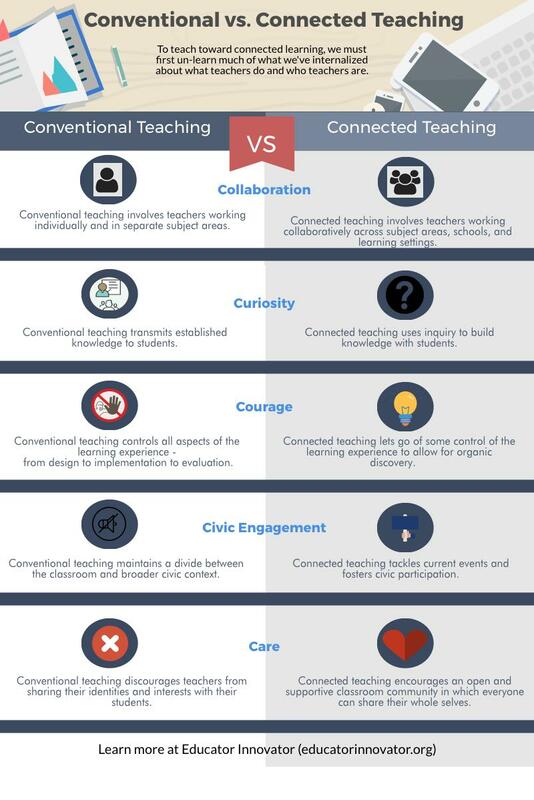 As teachers have put the theory of connected learning into practice and sought to offer students connected learning opportunities, they have realized that this model calls for a very different kind of teaching than the one many of us were socialized to take up when we entered the profession. Encouraging students to work with peers on projects that involve trial and error and reach beyond the classroom walls is messy – and we teachers are often conditioned to avoid messiness. 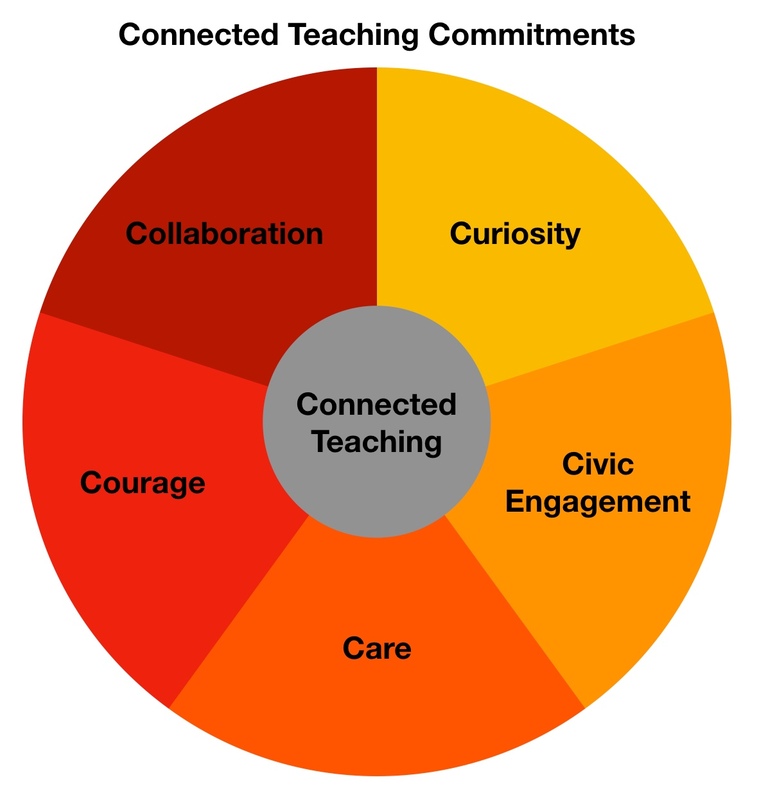 I have curated a collection of resources that highlight each of the five major commitments of connected teaching: Collaboration, Curiosity, Courage, Civic Engagement, and Care. While all of these commitments blend in practice, I am teasing them out here in individual resources so that you can focus on commitments that you are particularly interested in cultivating yourself. Use the comments section below to share your small moves toward connected teaching! Hip Hop as Literacy: Through the Eyes of the Young.